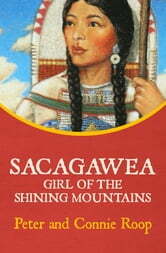 When Sacagawea’s son asks her about her life, she isn’t sure where to begin. Does she start with her birth as a Shoshoni? Her kidnapping by an enemy tribe at age eleven? Or her role as the famous guide for the Lewis and Clark expedition? She’s seen and experienced more in her young life than most people ever will. Told from Sacagawea’s point of view, this historical novel shares the ordeals of her youth along with the memory of her long, arduous journey west with Lewis and Clark. She shares her love of nature and explains how her loyalties have changed over time. This story of Sacagawea goes beyond the legend to reveal the flesh-and-blood woman who she really was.